The Belvedere policy, based on the Dutch government’s 1999 Belvedere Policy Document on the relationship of heritage preservation and spatial planning, strives to make the past operational. The concept of time and its perception are central to this. If Bel­vedere intends to be more than a glorified preservation society, it must not limit itself to concrete object-oriented research. A more theoretical approach, involving other design and experience-oriented disciplines, is essential to identify the various conceptions of time. This article contains no cavalcade of case studies, reflections on conservation or renewal, no in-depth examination of the utility and necessity of liberating heritage policy from the established frameworks of historic preservation.1 What ­distinguishes Belvedere from other, traditionally institutionalized forms of devising a modus vivendi with the built past is that the focus is not on the object, but on its significance (apart from its artistic value), and the role it plays in the everyday living and working environment of people today. In Belvedere everything revolves around the perception of time. But what is time? That is the subject of The Magic Mountain, Thomas Mann’s literary monument. The Magic Mountain is a treasure trove of obsessions, thoughts and sentiments that have played a ­fundamental yet forgotten role in the emergence of modern architecture. J.J.P. Oud, for instance, would reflect on it his entire life. Themes such as classicism versus romanticism, the union of classicism with the urge to destroy (the ‘Bösheit’ of Settembrini, one of the most remarkable figures in the novel), the passionate belief in technology as the vehicle for a blissful future, and the bewilderment of the main character, Hans Castorp, at the unexpected blending of techno­logy and morality, in which technology and ­science point the way to a better society. Difficult questions with which Oud grappled for a lifetime, while to the militaristic supreme commander of the modern movement, Sigfried Giedion, they were elements from a far-off past, the stuff of ‘nineteenth-century’ novels. ‘I always wonder why you want to be associated, through your predilections (Thomas Mann, classicism, etc. ), with a generation that is so much older than you.’2 Those who were modern read the work of Paul van Ostaijen or the ‘new word images’ of Theo van Doesburg. Why reflect on defeated standpoints, the relics of a dead past? The answer is as simple as it is, for Giedion, disconcerting: because, to Oud, they were anything but obsolete. Oud’s fascination with The Magic Mountain is understandable. In his eyes Mann had struck the Achilles’ heel of modernism. As the last offshoot of an architecture rooted in classic antiquity, modernism was a part of civilization, art and ­culture. At the same time modernism was highly intrigued by science, technology and (political) ideals of a better society. Modernism was caught in an awkward split, precipitated by opposing views about time. These views prove to be closely related to the amalgam of highly divergent ideas Hans Castorp encountered on the magic mountain. The doctors there think only of thermo­meters (‘columns of mercury’), noise in the lungs, and rest cures. The patients are primarily concerned with their own personal affairs, which are of another order. Settembrini has set himself the task of documenting human suffering, in order to subsequently put an end to it – a revolutionary ambition he bases on the scientific discoveries of Darwin. Settembrini plays a major role in Mann’s book, two separate worlds come in contact because of his ideas, and the moment this happens, difficulties can be expected. In physics everything is reproducible; everything is the same everywhere; everything plays out according to the same scenario over and over again, now and in a million years. In human events everything is completely unique and one-off. Nothing ever happens the same way twice. There is no instrument for a value-free description and / or interpretation; every­thing has a subjective component. Both ­individual and social evolution, moreover, consist of making choices – something entirely alien to the phenomena described by the scientist. Why would an architect concern himself with this sort of philosophically tinged considerations? It is more evident that it might seem. His task, after all, is to fulfil the wishes and needs of users. The history of architecture reflects the evolution of society. The ‘social programme’ becomes more extensive and more specialized, new typologies emerge, the consumer sets higher and higher demands, technology develops, and all that can be seen in architecture and urban planning. But that is not all: architecture and urban planning are also used as instruments to steer society in a particular direction. That direction is virtually always set by politicians and usually ideologically determined. Architecture and urban planning mark political and moral choices. History books are full of representative buildings housing institutions upon which the regime is based, urban-planning ensembles defining the public space according to the symbols of the establishment, examples of ideological doctrines adorned with as specific a house style as possible. Even more telling are the icons with which architects and urban planners seduce the public: the propaganda image of the new residential district, the beach spa, the roadside restaurant, the department store; images adapted to the imaginative powers of today’s city dweller, but pointing the way ahead to the better society of tomorrow. They are ­created by the interaction of clients (the regime) and designers, and even if they do not always represent artistic high points, they are part of the most interesting things architecture has produced. Not just representative buildings but also the icons serve as media that broadcast an unmistakable message. The city serves as a billboard for these messages, the public space as a grandstand. In addition the city contains buildings that add to the silence; they are in the majority and represent nothing more than the vicissitudes of the economy, the level of construction technology and the way in which it is thought most adequate to provide for their material function. The progress of time historicizes both the mediating as well as the silent buildings. The expressive ones are soon controversial and their popularity often runs parallel to that of the regime that has erected them. The silent ones gradually become curious, inverted signs of the progress of technology, money and the way in which they fulfil their purpose; they are seldom controversial. All these buildings together mark the built environment as the domain of historical experience. Science and technology may leave their traces in the public domain, but what its identity defines is historical time. No wonder, therefore, that Oud wanted nothing to do with modernism as a materialistic and ‘scientific’ design method: other motivations had more weight for him. And each of these too seem borrowed from the image of time of The Magic Mountain. A portion of the urban built environment, and especially the representative institutes and the mediating ensembles, projects that bear the stamp of the regime that built them, do not invite such friendly hand­shakes, however. They still elicit strong emotions, however much they have been absorbed by the city and by time. Potentially, just about every­thing from after 1920 is controversial, everything that is part of what Robert Musil, to quote yet another author from Kakania, called the ‘Strecke des Schreckens’.5 The monuments from this period are symbols of events which, even is the city dwellers of today did not cause them, call out for one to take a stand, which are not neutral, of which the way in which they were originally received elicits shame years later, or pride. Throughout the former Eastern Europe, for ­example, the grappling with the socialist past shows to what extent the city is tied to the historical experience. It becomes clear how ‘historical experience’ is created in the present and therefore is a product of our time, of our (individual or collective) fascinations, foreknowledge, preconceptions, and sometimes of various forms of conscious influence as well: from politics, ideo­logy, commerce and fashion. Even when they are not controversial, the monuments that contain and elicit these experiences highlight a charac­te­ristic facet of the condition humaine: the present builds on the past and does not replace it. The city represents continuity, however marked by ­caesurae it may be. On 21 July 1952 the ‘Marshalkovska Dzielnica Mieszkaniova’, the Marshalkovska or the MDM for short, was opened in Warsaw. This was marked with great festivities, and this is no surprise. The brand-new Socialist-Realist boulevard had made a dream reality: it had built palaces for the working class, the political power that would carry the historical process to its inevitable end stage. The opening coincided with the celebration of an anniversary, a favoured activity in the ­former Eastern Block: that same day six years earlier the Lublin committee had laid the basis for the communist take-over of Poland. Part of the strategy to reconcile the Poles to this new regime had been the promise, made by Krutschev in 1945, that the Soviet Union would provide for the reconstruction of the virtually annihilated city (ultimately this gift would be limited to the famous palace of culture). When the new regime was well established, the need arose to use the reconstruction of the capital to turn the city into a model of socialism. Edmunt Goldzamt, a Russian architect-apparatchik, came to Warsaw in 1949 to indoctrinate his colleagues in the art of Socialist Realism; a study trip to Moscow, Leningrad, Kiev, Stalingrad and Tiflis provided inspiration. Shortly thereafter construction of the Marshalkovska began, primarily derived from the Kretchatik in Kiev, and the direct forerunner of the Stalinallee in Berlin. The Marshalkovska serves as a central boulevard dominating a new district in which 45,000 dwellings were completed in a short period of time. In order to finish on time, 70,000 volunteers were set to work to complete the ‘central axis in the urban organism’, the climax of ‘metropolitan socialist life’ and the actual ‘centre of socialist Warsaw’. 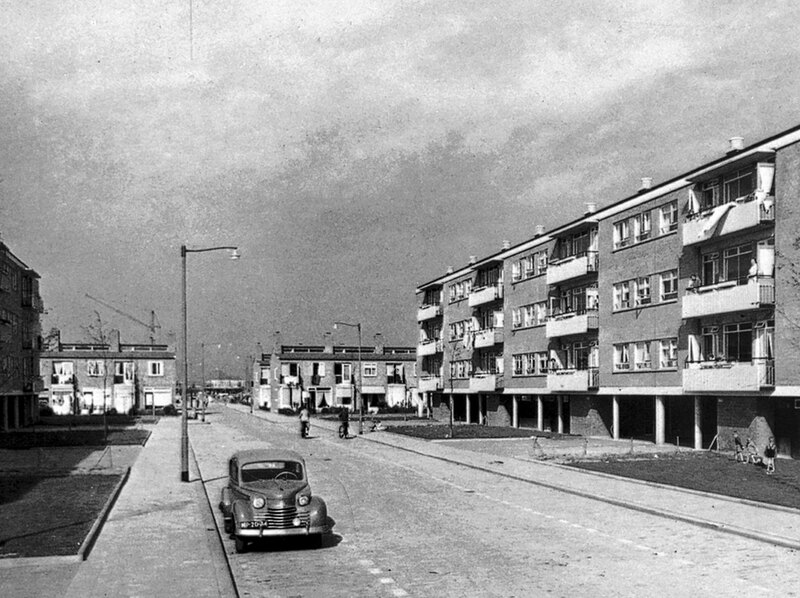 The new boulevard – ‘Magistrale’ in socialist jargon – was a quintessentially socialist monument, a milestone along the inevitable fulfilment of historical ­materialism, which would lead to paradise with scientific clarity. 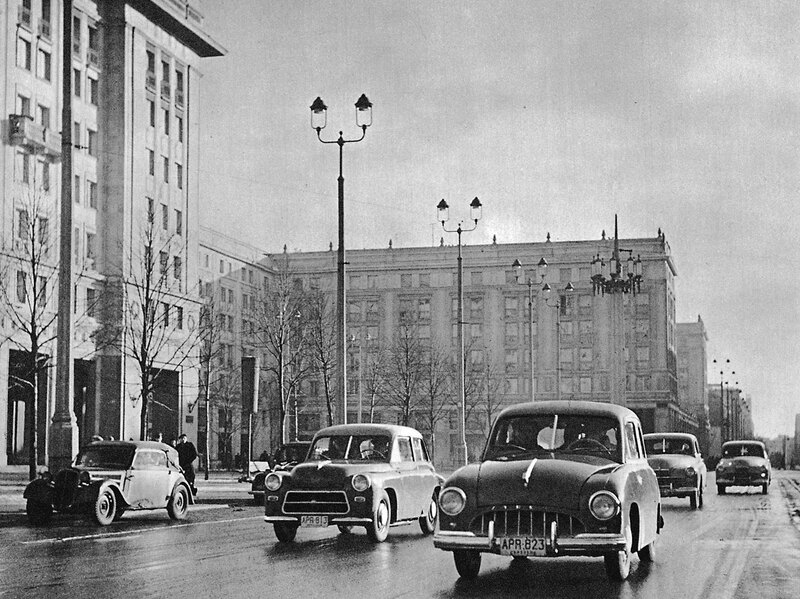 The luxury apartments on the new boulevard were certainly heavenly, but the style in which they were executed turned out not to be a harbinger of Utopia after all: in Decem­ber 1954 a speech by Krutschev, now promoted to the leadership of the entire Eastern Bloc, put an end to Socialist Realism (which was later seen as a premature form of postmodernism). Large-scale industrial construction was now the motto, a wave of ‘Platten’ the result. Plattenbauten modernism, the Central and Eastern European variant of the International Style, made the Marshalkovska a one-off incident. The way in which the people of Warsaw value its ‘Magistrale’ mirrors the popularity of the communist regime. Many of those who had cheered at the opening were later embarrassed to have done so. Ultimately the (collective) experience therefore did not run parallel with the linear development of socialism, and so long as the Marshalkovska remains among the ‘Strecke des Schreckens’ it will continue to elicit strong emotions. Yet it seems that Warsaw will ultimately follow the example of Berlin: when soon after unification it considered demolishing the Stalinallee, hated symbol of socialism, the international jet set of architects, with Aldo Rossi and Philip Johnson in the front rank, were immediately up in arms, and this ­boulevard now ranks, in terms of size, as the grandest monument of the German capital. 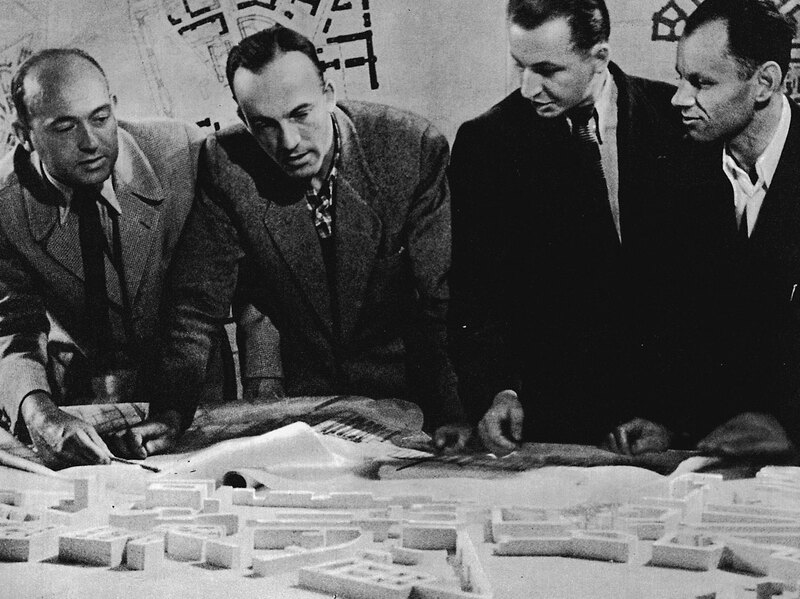 Meeting on the design and construction of the Marshalkovska Dzielnica Mieskaniova in Warsaw, early 1950s. Marshalkovska Dzielnica Mieskaniova in Warsaw. 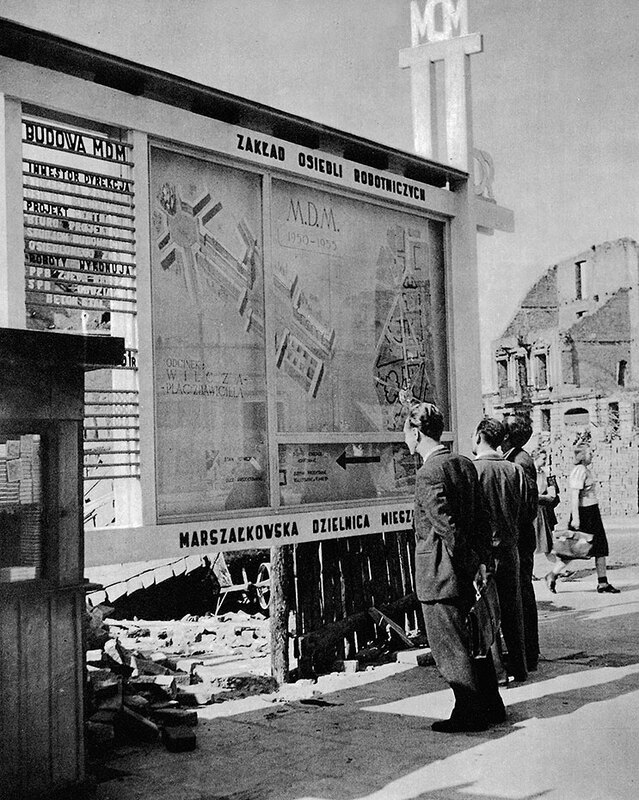 Informational billboard on the Marshalkovska Dzielnica Mieskaniova in Warsaw. The Marshalkovska and Pendrecht have been ­presented in this essay as polar opposites, each marking time in its own way. The Warsaw ‘Magistrale’ still elicits emotions, because it sym­bolizes a period that has marked the personal destinies of the residents. Pendrecht does not have such a legacy, and although the district does have a lot to tell, the public is not moved by it. While placing such two totally different projects side by side is provocative enough, it gets even worse when the Marshalkovska is seen as part of historical time and Pendrecht as a demonstration of timeless, scientific thinking. A gross simplification, we freely admit, but not without reason. The Marshalkovska and Pendrecht represent two extremes in the world of The Magic Mountain, Mann’s great novel of time. They are answers to the question of which direction contemporary architecture should adopt around 1950 – Oud’s thinking on this crucial question was not inspired by this literature for nothing. Time is the central theme of Belvedere. Whereas traditional historical preservation mainly conserves, Belvedere aims to make the past operational. What is the great challenge of Belvedere? Not the cutting of the Gordian knot of intert­wined concepts of time. (Hans Castorp’s conclusion, somewhere in the middle of the book, is that time is actually nothing more than a ‘column of mercury’, a thermometer, but one without ­graduations and numbers – you can read some­thing from it, but you never know exactly what.) Belvedere will have to look over the entire field, address projects of all scales and of all times, representing the most contradictory attitudes and turn the results into an arrangement of the city and the country that surpasses all those indivi­dual viewpoints – as does the city in the views of Konrád and Nádas. If Belvedere intends to be more than a glorified (or vilified) preservation strategy, it must meet a number of criteria. The subject is rather complex and its management entails a willingness to step outside the frameworks of the design ­disciplines. Architecture and urban planning are part of great planning and decision-making machines that set out numerous fundamental characteristics before the designers even get to work; many an interesting innovation has had its origin here. Belvedere can only succeed if this context moves along with it. Other design or ‘experience’ disciplines – in addition to visual arts, film and literature as well – belong in this context. Some messages that have been dropped into the public domain are controversial, and Belvedere will have to accept this; it is perhaps precisely the controversial projects that deserve to be cherished. 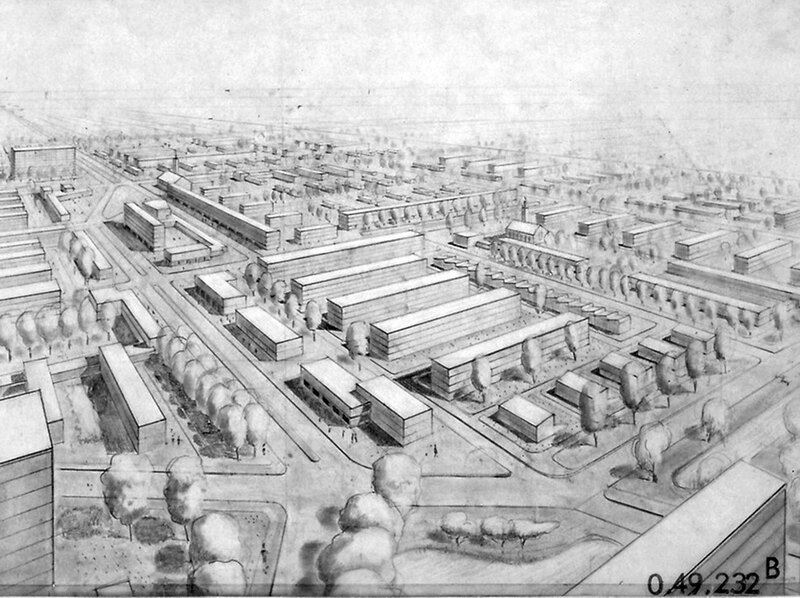 The vast majority of the Dutch urban and rural landscape has been created within the ‘Strecke des Schreckens’, and the vast majority of the design challenges of the future consist of reconstructing and renovation the heritage of the twentieth century, the era of the great political and ideological conflicts and the dominance of building for the masses. In an extension of this, Belvedere will have to find a connection to the wave of renovation now sweeping post-war residential districts. Perhaps a portion of this task will have to be reconsidered in the light of Belvedere and taken away from the regimes of public housing and developers. Above all, however, Belvedere presupposes research on a large number of overlapping ­ terri­tories, and although the Belvedere policy seems a typically Dutch phenomenon, reference to international architecture and urban planning is unavoidable in order to better identify what is actually specific to the Netherlands. The field of study is contained between the two poles of concrete research into urban history and a more theoretical approach; a reappraisal of modernism should be a component of the latter. What is the relationship between the production modernism of the 1950s and 1960s and the design modernism of the pioneers around 1920? Is this not an example of the same tension that emerges in the various conceptions of time in The Magic Mountain? Belvedere has, in other words, the potential of evolving into a treasure house of projects, knowledge, experiences and all possible media to represent these experiences – Belvedere itself is a magic mountain. 1. Two earlier articles dealt, respectively, with the undesirability of reducing Belvedere to environmental decoration, and the necessity of basing the new policy in proper research: ‘Vlucht uit de werkelijkheid?’, Stedenbouw & Ruimtelijke Ordening, NIROV, no. 3, 2003, p. 22–27, and ‘Het veranderbare monument’, in Cultuur en stedelijke vernieuwing. Denkboek voor de ­cultuurimpuls ISV, Netherlands Ministries of Education, Culture & Science and of Housing, Spatial Planning and the Environment, 2004, 96–127. The public domain as a ­(historical) medium is the theme of the partly Belvedere-funded Cities and the Pursuit of Public Happiness, to be published in the autumn by NAi Publishers, Rotterdam. 2. Letter from S. Giedion to J.J.P. Oud, 3 December 1928, NAi, J.J.P. Oud archive. 3. Peter Nadas, Het boek der herinne­ringen, Van Gennep, 1994, p. 515. 4. György Konrád, De Stedebouwer, Amsterdam 1995, pp. 132–133. 5. Robert Musil, Nachlaß zu Lebzeiten, Reinbek bei Hamburg 1978 (first edition 1936), p. 81. 6. Of course it is a provocation to use the example of Pendrecht here; it would also have been conceivable to use the Presikhaaf district in Arnhem, stripped to the technical mininum through budget cutbacks, from the maestro himself. Having attained fame with his public housing projects, Oud was driven by the experience of Presikhaaf to abandon public housing construction altogether. 7. This approach, Evidence Based Design, plays a noteworthy role in recent American hospital architecture in particular. The founder of Evidence Based Design, Roger Ulrich, argues that this approach can eventually replace traditional architecture and urban planning, although this would require a great deal of additional research.
) Cor Wagenaar is an architecture historian and teaches history and policy in archicture and urban planning at the Delft University of Technology.